The Woodsman Fur Trimmed Hat draws inspiration from historic hats worn by those who regularly braved the wilderness or crafted clothing from its inhabitants. 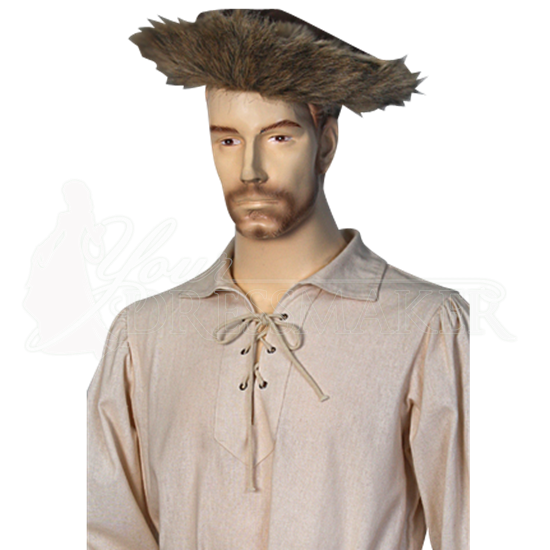 This reenactment hat uses manmade materials to achieve its authentic look. The body of the hat is made of a suede textured material that is softer and lighter than real suede, making it more comfortable to wear, and the trim along the brim of the hat is made of faux fur. Ideal for historic reenactments in colder climes, this hat is a great accessory for medieval hunter characters and can be worn for an authentic look at LARP events, medieval faires, and Renaissance festivals.